There are many forecasts and scenarios for the future of mobility. On which can you really build your vision and strategy as an entrepreneur or manager? How will we really be mobile in the future? Rationally we all know that we can not predict the future. And yet, we all have this – perhaps somewhat naïve – desire to be able to foretell it. In my work with leadership teams, I often do a little experiment at the beginning of the collaboration: I ask each member of the executive board to note for themselves which are the three most important market changes of the coming ten years are. Then I ask a second question: Which changes will not occur, event though the are currently discussed? Where will the market still be exactly like today? Then we compare the opinions. The result is almost always: chaos – at least to a degree. The world today is so diverse and complex that it is not possible to come to an even remotely accurate precition. Some call this the VUCA world. A term that emerged in the 1990s in the US military training and has become popular again in the management literature. Nevertheless, in this complex environment it is more important than ever before to find orientation points. Otherwise we would only be driven be changes and forced to react passively. Two anchors have proven to be particularly effective in our work. The first is a motivating and future-robust vision of the future in the sense of a strong vision of the company. It provides clear answers to the question “Who do we want to be in the future?”. Pero Mićić has summarized the most important requirements for such a vision. The second point of reference are clear and well-founded assumptions about the future of the market, in particular the future requirements of customers, the technological possibilities and the competitive situation. This second point is so important because every decision is based on assumptions. These assumptions again are based on our world view, our experiences, preferences and aversions. The ultimate reasons behind our future assumptions are unconscious, highly emotional and psychological. It is therefore important to make one’s own assumptions transparent. We have to question them systematically by “bombarding” them with trends, arguments and thinking models from futures research and corporate foresight. This way, the assumptions as well as the decisions and strategies based on them become more future-robust. It’s not about being right in the end, but about making better, faster, and more secure and decisive decisions today – and to recognize earlier if you’re wrong and need to adjust the strategy. The answer is a surprisingly short horizon: less than 10 years! In 2017, depending on the source, around 1.3 million electric vehicles were sold worldwide. In 2016, there were just over 800,000, in 2015 there were about 550,000 new registrations, in 2014 about 330,000. This results in an annual growth of about 60 percent. Thus, the number of vehicles sold will double in just over one year. If the growth remained the same, the 100 million threshold would have already been exceeded significantly by 2027. (In 2017, around 97 million vehicles were produced). Even if you halve the growth rate, the time horizon is just shifted to the year 2034. Of course, such a simple extrapolation is by no means a safe prognosis. There are a variety of alternative assessments from a wide variety of institutions and experts (see, for example, the overview in this article from last November). That’s not what it’s all about. This model of thinking is valuable because it enhances one’s imagination and is suitable to critically question one’s assumptions. A finding from behavioral psychology, which I see confirmed in the last 13 years of my work with top management teams, is: Intuitively, people overestimate the change that can take place in one year, but at the same time massively underestimate the potential for change of longer horizons of ten years or more. The physicist Albert Bartlett even said: ” The greatest shortcoming of the human race is our inability to understand the exponential function.” This mistake can be handled relatively easily by deliberate reflection. As a matter of fact, technological developments (i.e. the increase in performance per unit of money) are indeed very often intermittent on steep exponential growth curves. Examples are the performance of CPUs, artificial intelligence and genome sequencing, but also photovoltaics and battery technology. Distribution and sales figures correlate very closely to those developments. A rapid displacement of internal combustion engines by electric drives is thus at least plausible – everybody should evaluate the probability for himself. 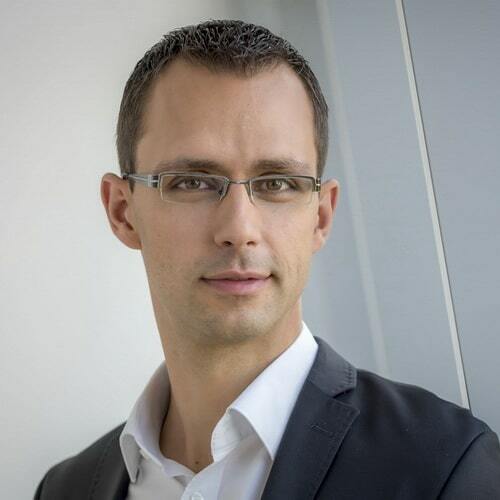 How can you concretely improve the future assumptions as the foundation of your strategy? Make the assumptions in the leadership team transparent and discuss them openly: Lay the assumptions of the entire leadership team side by side. Where do the assessments match? Where do you see controversy? Try to come to a common assessment but avoid egalitarianism. It’s not about convincing dissidents, but about getting to know the arguments that are unknown to the majority. Question the arguments behind the assumptions rationally, analytically and in a distanced fashion: A variety of thought-traps lurk in the assessment of future developments. Especially habits, experiences and preferences of the past colonize our thoughts about the future. Avoid them by deliberate reflection with an experienced coach or facilitator. 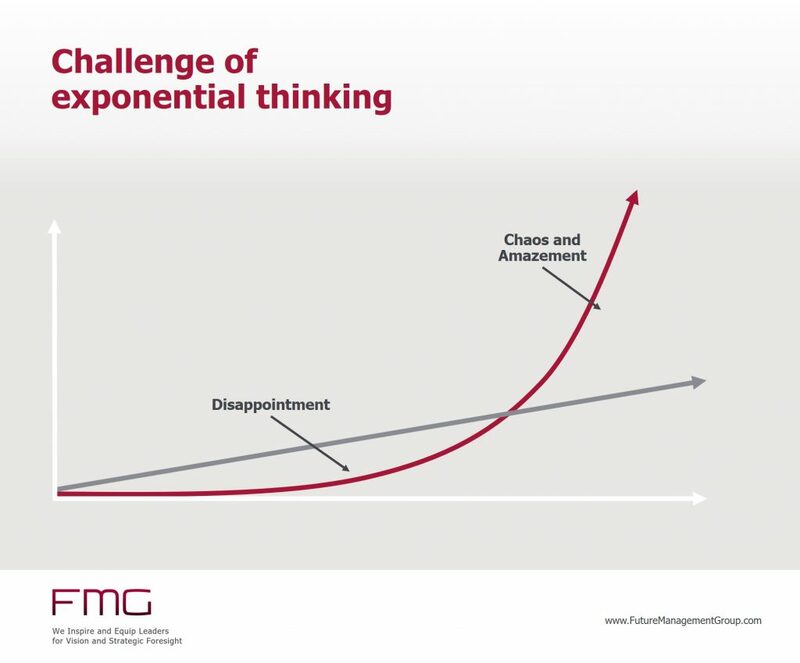 Explicitly challenge your assumptions with the exponential function: Especially for technological developments, the dissemination of new products and the implementation of alternative business models, the exponential extrapolation of the developments can act as a plausibility check. Where would does the growth rate of the past three years lead to over ten or fifteen years? What would an annual growth of 20, 50 or 100 percent mean for new technologies? Do not get distracted by a small base. Especially in the case of pioneering innovations, high double-digit and even three-digit growth rates in performance are not uncommon even over longer periods of time. As a result, even today’s niche solutions can spread surprisingly quickly. Stay pragmatic in the analysis: the validation of your future assumptions is a fundamentally inexhaustible task. There is always a little more precision and an even deeper analysis possible. Stay pragmatic and adjust the effort to the size of the decisions to make. To a certain extent, flexibility replaces foresight. If you can easily change directions, the discussion of assumptions is less relevant than if you have to commit yourself for years. Check your assumptions regularly: No matter how well you make your assumption analysis, you will always be wrong on some points. The value of transparent assumptions lies in the fact that you recognize earlier where you need to counteract strategically, because the environment is developing differently than expected.